Hope you and your daughter enjoy the recipe! Forget the canned beats, you’ll end up with flavorless pink, not red-beets, eggs, and broth. Fresh beets only cost a few bucks and take a couple minutes to prepare, cut/slice, boil, add eggs and other ingredients. If you try that you’ll never use ones in a can. We lived in the county Dauphin County, next to Lancaster, and my late mother was Pennsylvania Dutch. I’m sure she, or her mother, ever had a can of beets in the house. Why do people put cloves or cinnamon in pickled eggs? I don’t ever remember my parents doing that but back then I would never have tried pickled eggs! My husband thinks it sounds good and I don’t. I grew up in Western NY, but my grandparents were from Lancaster County, and they always made them with pickling spice, cloves, cinnamon, and whole allspice. That is the only way I will make and eat them. I actually like the beets more than the eggs. LOL. Hi Windy. I usually make sure they’re all consumed within 2-3 weeks. What Amanda says is true. Every family has their own recipes, with different flavor notes. Of course, my family’s recipes are the best (I’m kidding, of course). If they’re pickled properly, they’ll last for a while if they kept cool, and away from light, like in root cellar or the back of your fridge. Fresh beets are best, when they’re in season, in my opinion, but canned isn’t bad in a pinch. Use other flavors sparingly, as a little goes a long way when infusing it into the eggs and beets over a few weeks or even a little longer. Amanda’s recipe is a good base to start with; it’s beets and eggs, simply done, and it works. Thanks for sharing, Amanda. Lol! Out of town folks are often surprised with the purple eggs! Hey. I’m from Fayette City Pa also…I’m polish and our family had these every holiday..small world! Actually i use my canned puckled beets for my eggs. I just heat the juice and pour over my eggs the put in the beets. My husband grows beets in the garden and cans them, there is no comparison, they are so much better than the store bought canned ones. In addition to the beets, I remember chow chow on the table. So many kinds but my mom’s had no tomato. Do you have a recipe? I grew up in lancaster,.lancaster. thank you. Eggs taste just like home. Also need recipe for scrapple. 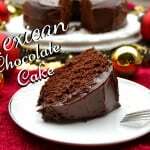 Hi Jeanie – glad you enjoy the recipe! I have a question. Do you pour the cooked liquid mixture over the red beets and eggs while it is still hot? Yes – I pour the liquid, still hot, in the jar over the eggs. I am excited to make these and share them with my grandchildren. We lived in Pennsylvania for my early years and my grandparents were Mennonite and I had these every year until I married and moved away. The eggs are under done. I haven’t had a red beet egg in over twenty years, they.a don’t exist out here in Colorado…..
I’ve taken the pleasure to hook people up with apple butter and cottage cheese … Rock on Allentown Pa. I didn’t know this was regional! Hi from Chester County. I have enjoyed tbese since childhood. Hi David. Here’s my suggestion. You can get about 4 dozen boiled eggs in a one gallon jar. I would use 4 cans sliced beets (15 oz), 1 1/3 cup white vinegar, 1 1/3 cup cider vinegar, 1/2 cup sugar and 2 teaspoon salt. If there’s not enough liquid to cover the eggs in the jar, top it off with a little more of the vinegars. For the Cider Vinegar is apple cider vinegar okay? Or is it just cider? Hi Abbey! Both will work. I usually use cider vinegar because it’s cheaper than my raw apple cider vinegar. Do you let the liquid cool any before pouring over the eggs? Hi Rick. I don’t let it cool – I pour it immediately over the eggs and beets. Also if you want pale eggs don’t heat juice, but if you want that rich color and that yummy taste thru and thru make sure you use CIDER vinegar ( not white ) and add it to eggs while still warm. Do you know how long the eggs stay good for? Hi Sydney. I usually prefer to eat them within a few weeks. Some people say they keep FAR longer, but I always err on the side of caution. My dad passed away10 years ago… And one of my fondest memories with him was making beets and pickled eggs as a child. I’m 55 years old now and have forgotten how he made his famous beets and eggs..so I goggled this recipe. Can’t wait to make it. Thank you! Delicious! Do you know if the beet juice can be reused and if so, for how long can it be kept? Thanks! Hope this helps. Thanks for stopping by! Do you reheat the juice to a boil again? I’m very familiar with pickeled beet eggs. I grew up with many plain and Mennonite relatives. I live just outside of Gettysburg. Anyway, I’ve always wanted to try re-using the same batch of beer juice, but I was never sure which way to go. Love the recipe. 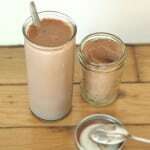 I have made several batches reusing the juice once the beets and first eggs are gone. I don’t even reheat the juice. Just plop hard boiled eggs in and let them sit in the frig over night. Do you think this is ok? Should I reboil to make sure nothing nasty grows in there. BTW they taste great! Brings back great memories of my PA Dutch childhood. Schmecht Gut! Yay! Glad to hear you love the recipe – they’re a family favorite. The general consensus is that the beet/pickling juice could be reused “at least” once if it’s clear. I remember my grandmother reused hers, multiple times I’d bet. I checked a few canning sites and some folks suggest being careful when reusing pickling/beet juices for eggs due to bacteria and such. 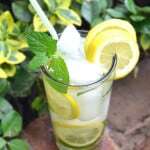 I’ve never gotten the opportunity to try it in my home – the juice is always cloudy. There’s always little hands trying to get an egg out of the jar by stabbing it multiple times with a fork. Our family rule is to wait a minimum of 1 week for the eggs. They have to taste live sweet red beats not just look red. Some recipes say wait a day. They have no clue. It’s all about the taste. I live in Dauphin County near Hershey & my Mom always got her Red Beet eggs from A.S.K. in Palmyra. 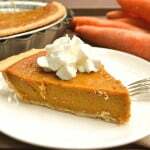 As an adult finding an Amish recipe similar to this one I have been using it for years and every one loves them and requests them often. They always get red thru and thru and have great flavor! I just made 36 for a new years party and there wasn’t one left! I always get the liquid nice and hot and pour over the eggs and beets and immediately refridgerate. They have the best combination of flavor! I have my husband’s family fighting over whether I should bring them or my macaroni and cheese recipe I made up. If you use fresh beets instead of canned, they’re ready in 24 hours. And they taste better too!! Hi, I was wondering if I could use my homemade pickled beets in this recipe? Hi Charlene! Your homemade pickled beets would be absolutely AMAZING in this recipe! I thought the recipe needed more sugar. I added an extra third cup, perfect! Too vinegary for us without it. Sixty some years ago, I remember my mom making these. She sometimes added rings of onion too. Really awesome. Ofcourse back then she always used fresh beets……my dad grew a wonderful garden. We canned and froze everything we could. Do you happen to have a recipe for Harvard Beets? She made them too. Thanks for the short cut when making these! I as well have fond memories of gardening with my dad. The greatest pleasure was picking a fresh, ripe tomato and eating it like an apple…with lots of salt…so good! A lot of people still do add rings of onion to their red beet eggs – it’s very popular with the plain sect people in Lancaster. Red beet eggs are absolutely wonderful with fresh beets – I make them when beets are in season locally. I don’t have a recipe for Harvard Beets posted, but I’ll get one posted the next time I make them. It’s been quite some time since I’ve made them – I usually get them at a PA Dutch restaurant I visit occasionally. Thanks for stopping by Madonna! My Dàd’s recipe for Harvard Beets. 2 TBS butter, 1/4 cup sugar, 1 TBS çornstarch, 1/2 teaspoon salt, 1/4 cup apple cider vinegar, 1/4 cup beet juice, 2 cups beets. Melt butter, stir in cornstarch, salt ,sugar, stir until smooth. Add vinegar and beet juice. Cook until cleaŕ, stiring constantly, Add beets çontinue cooking until beets are heated through. I always make sticks (like french fries) out of sliced beets. Your dad’s recipe sounds delicious! I’ll definitely have to try it! Jackie, that is the same recipe my Mother always used. We loved them. Thanks for sharing it. I love Beets & Boiled Eggs can’t wait to try this,My mouth is watering just thinking about it. Hope you enjoy them Lori! Do you use the canned regular beets or the pickled beets ? Hi Karen. I use regular canned beets. 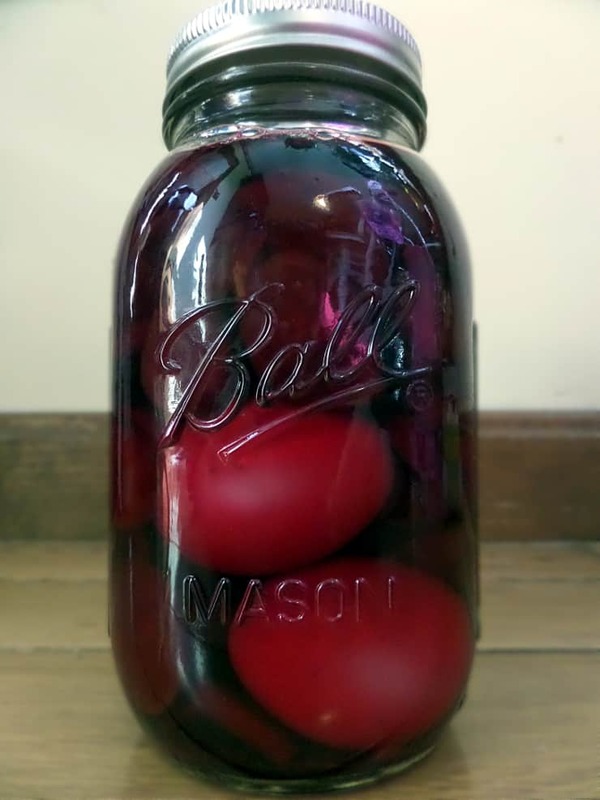 You could use pickled beets, you would just need to make more brine to cover the eggs. 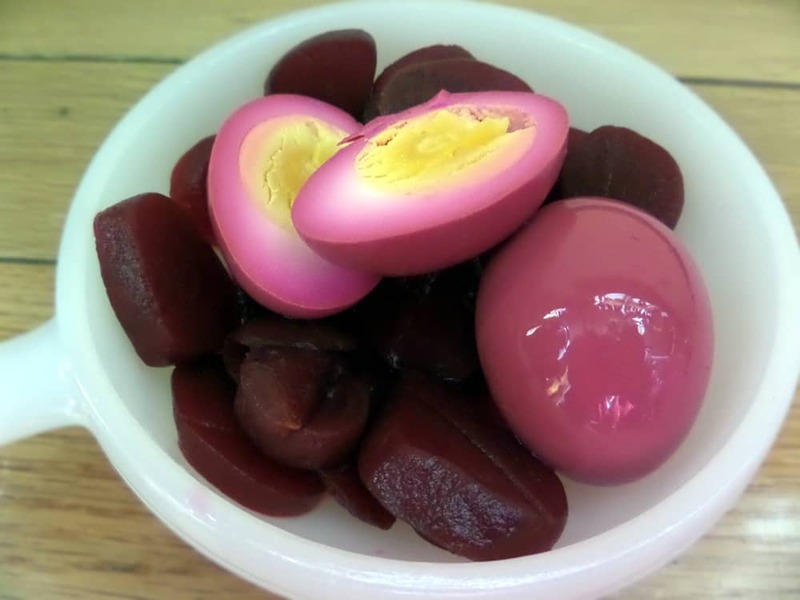 I am going try yor Red Beet Eggs better known to me as( pickled Red Beet Eggs) Grew up with them and now am a 83 year old man. Hi Elly! There is certainly something about Pennsylvania food. Red beet eggs, chicken pot pie, cheesesteaks, Lebanon bologna – oh and too many delicious potato chips to mention ♥ Thanks for stopping by – have a wonderful Easter! Eggs are boiling… bringing my PA roots to Michigan. I enjoy them sliced and topped with Mayo. We are trying to watch our sugar intake at our house, do you think that I can decrease the amount of sugar? Hi, I just ran across your recipe today. It’s so much like the recipe I remember my mom making. I tried a different one at Easter time but it just didn’t taste right. Since your ingredients are so similar to what my mom used I’m going to try it today. My oldest daughter just asked me for a recipe and since I can’t find the one I had from mom I went looking again. Thanks for publishing this. And by the way, deviled eggs are heavenly made from picked eggs. I grew up in a small town in Blair County and haven’t had authentic pickled beets and eggs in forever! Wonderful – so glad to help! Hope you enjoyed the recipe! Hi from Cumberland County! My family is in the pickling spice camp but I’m sure they’re delicious without it. Just made them for our Memorial Day picnic and brings back memories of so many summer picnics. You’re right – Red Beet Eggs are delicious any way you make them! Definitely a summer picnic & cookout must have. 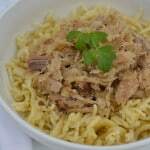 These are one of my favorite recipes from my German grandmother. My mom only makes them for holidays so when I get them they are such a treat. Just simply delicious. Simply delicious is the perfect description! Haha I had to laugh when you called them rotten dinosaur zombie eggs. I love it. I hope when I make these at home mine don’t turn out that way! Thank you for sharing this recipe, it’s been ages since I’ve had pickled eggs. I used to have them when I went to my grandparents house. I’ll report back after I make em to see how I did! Seriously though – they really do look horrific when the eggs don’t peel right. Hope you enjoy the recipe! Thanks for stopping by Billy! Hi Amanda! I was wondering if I could can these eggs…if so how long would I pressure cook? Hi Gerri! So sorry I missed this comment. Honestly, I don’t know about canning these eggs. I was always told that there was a risk of botulism, so most folks don’t bother with it. They do keep for a few weeks in the fridge. Thank you for this! My mom grew up in Shamokin with a PA Dutch family, and I went to school in Kutztown, and couldn’t find a recipe that matched my memory of red beet eggs until I stumbled upon yours. I am a Philly native, mostly vegan now, but I get eggs from a neighbor with chickens and grow my own beets in my tiny little patch behind my house. So glad I found your blog and its recipes! 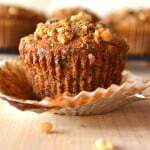 You’re welcome – so glad you enjoy the recipe & so glad you enjoy the blog! I LOVE hearing that! I just made a GIANT batch of these for 4th of July – they pretty much all disappeared. Nice recipe made today with fresh beets from our South Carolina garden. You can take the boy out of Pennsylvania but not the Pennsylvania outta the boy. Left there 55 years ago but will always treasure the ethnic German, Polish, Italian and Irish foods I grew up with. The quart jar of red beet eggs looks so nice sitting in the refrigerator I am hesitant to eat them. Well, not really. I hear that often. People leave Pennsylvania but always miss the foods. Red Beet Eggs & Shoofly Pie are the biggies. Thanks so much for stopping by Doug! I moved from Berks County, Spring Twp., to Phoenix. Went to a carnival with several friends, native Arizonans. As soon as we got on the grounds, one woman said to the group, “Let’s first get some funnel cakes.”. She then turns to my wife and me and says, “I love them. Do you know what funnel cakes are?”. We just burst out laughing then explained the whole thing to her, how long we’ve known about them, the reason they were first made, etc. Then we asked her if she knew what milk pies are. Hi Amanda. I grew up in Lancaster. Lately, for some reason, I have been craving red beeters. When I was a teenager, my best friend’s Mother would make up a big ole jar of eggs whenever I would stay overnight. 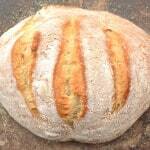 I loved the way she made them, so today, I was looking for a Pa Dutch recipe and yours came up. I believe this is probably the best recipe because I remember the way her eggs tasted. Simple and pure with no recollection of cloves or cinnamon. I do have a question. I was looking at a few other recipes (no offense) and these recipes used a lot more sugar. I am not a huge fan of the taste of vinegar. 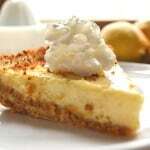 Since your recipe only uses 2 tablespoons of sugar, I am afraid of an imbalance) maybe too sour. Are your eggs more on the vinegary side? Thanks for your recipe. I really think the beets are what really sweetens the mixture up. I don’t think the eggs are too vinegary – but I know everyone has different tastes. I would suggest making the recipe as-is and tasting an egg after a day or two. If it’s not sweet enough, heat up some of the brine, dissolve in additional sugar and mix back into the jar. A friend convinced me to try out beet pickled eggs at a local produce farm called Apple Annie’s . I did and decided I had to try and make it at home. I used you recipe and well ,now… I am totally hooked. I love these so much. Much better than the ones from the store. It is supper hard to be patient and wait 3 days for them.. I may have to just make them all the time to keep my supply up! I can’t wait to try this recipe.I grew up in Ohio.My grandmother was from Tennessee.She always made these eggs for surgido ocasiona. Mom took her great Pa. Deitsch recipe with her when she passed. I never seemed to be able to get the correct vinegar:sugar ratio, don’t know why. This was it. She didn’t use cloves or cinnamon, either. My aunt did. That’s apparently why the family wanted my mother to make the red beet eggs, as well as other items, at family gatherings. Can I water bath can these for preservation? Amanda my name is Will and I was wondering why do you heat your liquids and sugar? You don’t have to heat the liquids – but in doing so the eggs take on the brine a little quicker and taste better a day or two sooner. I just tried your recipe and I thought I’d offer a modification for certain people, if anyone ever sees this. I am a person who does not like strong tastes of any kind so I find it easier to taste the subtle flavor of the beets if I use 2 tablespoons of each of the vinegars, 2 teaspoons of the sugar, and a pinch of salt. I like the original recipe okay but it’s sort of… rich in a way so I prefer to dilute it a little. Hi, Amanda — Can you substitute Stevia for sugar in red beet eggs? My fiancee is worried that the sugar acts as a fermenting agent. I’ll probably try it with Stevia just to see what happens — but I’m curious about your thoughts on this. I’ve never tried subbing stevia for the sugar. As long as you’re okay with the flavor of stevia, I’m sure it would be fine. The sugar in this recipe doesn’t act as a fermenting agent. Beets are super sweet, I’m pretty sure you could skip the sweetener all together if you like your eggs extra tangy. Hey – I think you can get Lebanon bologna in some parts of the West Coast. A friend of mine gets the packaged stuff at Albertson’s in Cali. We buy Lebanon Bologna at Stater Bros grocery stores. I was raised in PA and miss a lot of foods from there, but my CA born adult sons are hooked on LB! They also like scrapple when we visit their grandparents! Hi Amanda, I am from Bethlehem PA and know all to well of the PA Dutch food, nothing like it. My mom made these all the time, and I love them. I have a bumper crop of sugar beets this year and guess what I will be making. 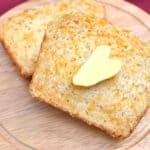 Thanks for reminding me of this simple and tasty recipe! Thank you. 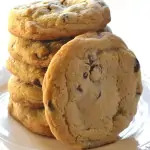 I haven’t tried them but the recipe sounds like I was back making them at grandmas- in Redding,Ca! I see all the posts from PA folk. I have four ancestral families i traced in PA, one an original settler in Lancaster so must be in the DNA. Interesting tip! I know a lot of people do add in spices and onion – never knew that it helped “pickle” the eggs quicker. I’ll have to try it. I love how certain foods & tastes bring back so many memories. I think I was the same way when I was a kiddo. My grandmother would make a batch and a few hours later we’d be after the eggs! Has anyone ever had trouble with eggs turning out rubberish? If so what causes that? 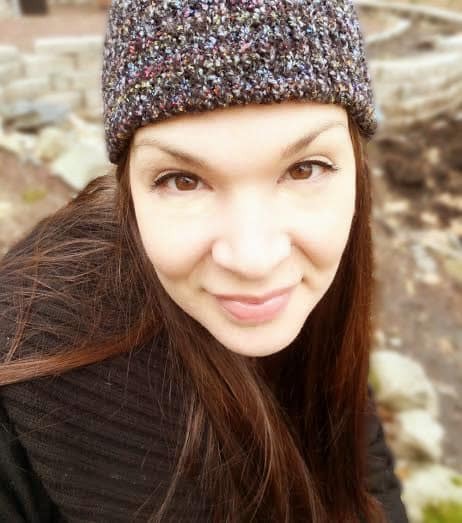 I’m originally from Berks County, but moved to Alabama a few years ago…I had a major hankerin’ for red beet eggs and my southern husband thought I was nuts. Well, I made the red beet eggs…totally love them…husband was a good sport and tried one but still thinks I’m nuts. HA! Who cares, more for me! =) Love this recipe. Thanks for helping me bring a taste of home away from home! I always loved the taste of red beet eggs and my grandmother would always make them for me. She passed last Thursday at the age of 98 so I made my own beet eggs in her honor. Her recipe is similar but uses only apple cider vinegar. Now if I can just wait 3 days; YUM! I am a Polish, Pennsylvania Dutch. I’ve eaten pickled eggs all my life, the only part I have had a hard time eating is the yoke. So I make the pickled devil eggs for every holiday, and I can’t ever make enough, everyone that comes to my holiday feast eats them up like candy. 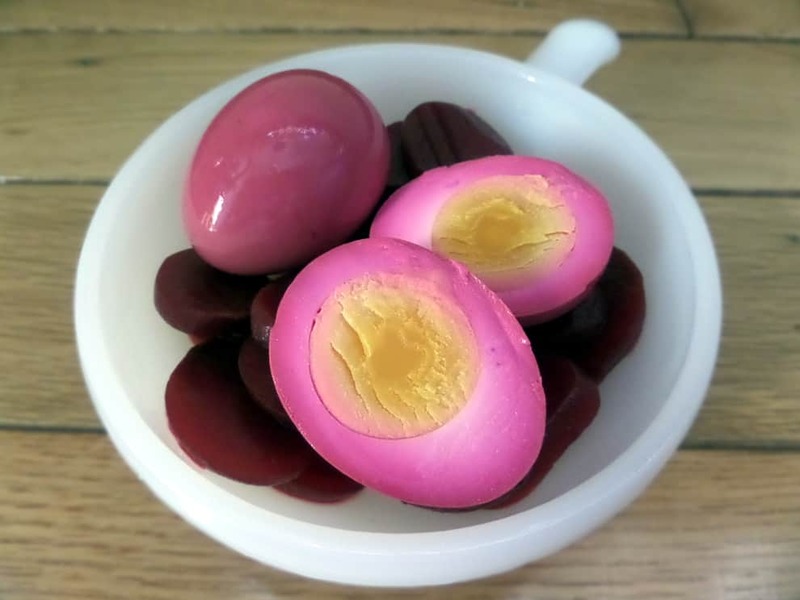 I’ve been craving my Pennsylvania Grandmom’s beet pickled eggs for YEARS. 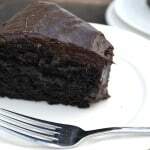 And then I happily stumbled across your recipe ~ thank you so much, I’m going to make some this weekend! Woo Hoo! My family always added thinly sliced sweet onions before ading the juice and beets to the jar of eggs. We still do it that way after 4 generations. These have always been a family favorite!!! These are gorgeous and I’m glad that you kept them simple. 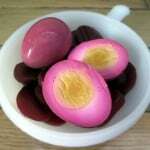 I haven’t had pickled eggs in ages, but need to change that and i love the idea of using beets! I love these! So brilliant, Amanda and I love that gorgeous pink. I’m a big fan of beets and love using them as colour for my red velvet cake and also to decorate my pies. I’m going to try these, thanks for sharing!! Love these!! I’m from PA but live in Texas now and love making red beet eggs! I used to just use the beet juice and vinegar but now I like adding the sugar and boiling it. I add a bay leaf and three cloves. Handy tip: if you have an Instant Pot, it makes absolutely perfect hard boiled eggs. 5 minutes high pressure, 5 minutes NPR then quick release, 5 minutes in an ice bath. They’ll be cooked perfectly and the peels slip right off. I’m SO glad I found this recipe! I haven’t had any good red beet eggs since the last time I visited the farmer’s markets in Lancaster County and Harrisburg, and places like Renningers…I’m gonna give them a try right now! My family loves these eggs ,I love this recipe, my family is from Pa and we eat pickled eggs,haluski pierogies halucki and chicken pot pie with drop noodles ect,my fiance from Ny knows nothing of the wonderful foods and wont try them! He never even had eggs salad before he was with me lol thank you for this stroll down memory lane! I’d say 2 – 3 weeks easy. They usually disappear way before that though 🙂 Thanks for stopping by! It’s just my own personal taste! Of course I triple the recipe!! They are good anytime for a quick snack!